Summer is a great time to check out your local farmers market or supermarket and stock up on fresh produce. Not only can fruits and vegetables be a healthy snack, they can also add flavor, nutrients, and other benefits as a side dish or main meal. Selecting seasonal produce can also save you money. Increase interest in eating healthy by letting family members pick out their favorite fruits and vegetables to snack on or prepare for meals. Tomatoes: Tomatoes are a wonderful source of lycopene, an antioxidant, as well as vitamin C. As an added bonus, lycopene can also help to protect your skin from sun damage. Tomatoes are also a good source of potassium, manganese, magnesium, phosphorous, and copper. Watermelon: Hydration is especially important during hot summer days, and watermelon is a great source since it is around 92 percent water. It is also low calorie, contains lycopene, antioxidants and amino acids. Radishes: Often overlooked, this vegetable can be a great addition to salads and meals. Radishes are high in water content and a good source of vitamin C, folate, potassium, and fiber. Berries: Stock up on strawberries, raspberries, and blueberries, which are high in fiber and vitamin C. They also contain flavonoids that may support cognitive health and skin health. Avocados: Avocados are considered a superfood and a healthy source of monounsaturated fat which can boost heart health. However, eat them in moderation as they are high in calories. They are loaded with potassium and fiber. Corn: You may not consider this starchy vegetable to be healthy, but it does have its benefits. Corn contains antioxidants that can help protect eye health and reduce risk of age-related macular degeneration. Whether its white, yellow, blue, purple or red corn, each color signifies various levels of antioxidants and nutrients. Peaches: Peaches pack a punch with 10 different vitamins and plenty of fiber. They’re low in calories and also contain other essential nutrients such as calcium, magnesium, and potassium. Zucchini: This versatile vegetable can be eaten raw, baked, grilled, or boiled. Many people replace traditional pasta with zucchini instead. (By either slicing it thin or by using a spiralizer.) Zucchini is low in calories, contain no fat or cholesterol, and is packed with vitamin C, fiber, and potassium. You and your family can eat these foods plain, just as they are, or you can spice things up by adding a variety of seasonings or combining them with other foods. The possibilities are endless. A quick recipe search can yield many ways to prepare these fruits and vegetables in dishes your family will love. Having plenty of fresh fruits and vegetables on hand make for a quick and simple choice when it comes to grabbing a healthy snack. 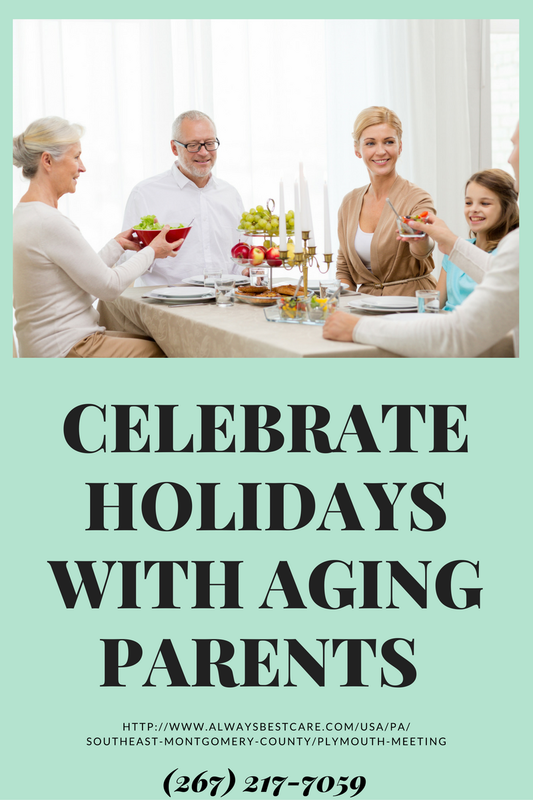 Make sure your senior is eating right all year long by getting them the support they need. An in-home caregiver can assist with meal planning, grocery shopping, meal preparation, checking food expirations, and providing companionship during meal times. Help your loved one live a safer, healthier lifestyle by contacting Always Best Care today to schedule a free consultation! Call (267) 217-7059 to speak with David Baim. Planning a summer vacation can be great way to see new sights, get away, spend time with family, and relax. While many adults can be ready to go on a whim, when traveling with seniors, extra planning is a big help. You will want to ensure that everyone is included and has an enjoyable time. This seems like common sense, but there are many items that are easy to overlook or take for granted. For example, if your loved one has issues with incontinence, you’ll want to plan for extra restroom breaks. Search your itinerary and locate close bathrooms. If a historic site is in the schedule, the bathrooms may not be easily accessible. Make sure there is a stop before you get to your destination. When going to the airport, call ahead about senior assistance. You may be able to get a wheelchair to board the plane early, helping your senior get settled in before other passengers board. Your loved one may also be able to go through a special security screening. Consider any mobility issues your senior may have when making reservations and booking activities. Are there stairs involved? Will a ramp or elevator be available? Also consider their vision and hearing. Large crowds, too much noise, a lot of stimulation, excessive heat and humidity can be tough to handle and make activities less enjoyable. Try to plan activities that everyone can enjoy and access. Have enough medication for the trip, plus a few days more. You never know when you’ll get delayed. Bring proper documentation (typically a doctor’s note or prescription) for medication and any health conditions your loved one may have. Make advanced arrangements for refrigerated medications. If there is a need to go to an urgent care or hospital, you will want to have the necessary insurance information and a list of current medications readily available. If you’re flying, don’t pack medications in checked luggage – always keep it in your carry on in case of delay or lost luggage. You may want to pack in as many sights and activities as you can, but realistically you may not be able to do so. When traveling with seniors, you will have to slow down your pace and build in more time for breaks and rest. While your loved one enjoys being included, don’t overwhelm them with too much walking or activities they cannot keep up with. Include your senior in vacation planning and ask about what they think they can reasonably handle. Look into trips which appeal to people of all ages and offer accommodations for seniors. Cruises and tours are ideal because they are pre-planned and offer many options. You can work out any accessibility needs or special considerations ahead of time and find out if the trip is right for your senior. Ask for testimonials from tour companies so you can request recommendations in an online format via TripAdvisor.com or another trip/travel related website. You may also be able to pick and choose from different activities creating a schedule that works for everyone. Vacationing with your senior can be a lot of fun and create many memorable moments. Take the time to plan ahead to reduce stress, enhance safety, and make the most of your family trip. Even if you are planning to staying close to home or taking day trips, being prepared is key. Make sure your loved one has the support they need to stay active and engaged on your trip. Ensure that they have the level of support and care they need at home as well by contacting Always Best Care at (267) 217-7059 for a free in-home care consultation. Many seniors view living on their own as a sign of independence, and it’s one they’re often not ready to give up. Driving to the supermarket, meeting with friends or paying the bills on their own are activities which give seniors a sense of pride and content. With support from an in-home care provider, your loved one may be able to age in place for a longer period of time, however, there comes a point when assisted living becomes more beneficial. Much of their independence can be maintained, but having a safer, monitored environment seems to ease family member worry. Is your elderly parent developing dementia or Alzheimer’s? Are they becoming more forgetful and putting their own health and safety at risk? Occasional forgetfulness may not be a big deal, but as it progresses and you notice the state of their home and hygiene declining, it may be time to step in. Take a look at their banking practices or bill payments from time-to-time and ask their neighbors or friends what they think if there is cause for concern. Slips and falls can come with a variety of consequences. If your loved one is having more trouble getting around and you notice they have bumps and bruises, they may be better suited for assisted living. In an assisted living environment, if they fall, someone can respond more quickly. Their room can also be set up with less clutter, more space, and more safety features. 3. Trouble keeping up with daily tasks. Have they forgotten to take the trash out again or do laundry? Is there hardly any food in the refrigerator and the plants haven’t been watered in several days? Do they have trouble getting their shoes on or getting dressed? Are they eating, drinking enough and sleeping when they should? Most people are expected to easily accomplish these activities when living on their own. If they’re having trouble keeping up, more support may be necessary. Has your loved one stopped meeting up with friends or going to their favorite diner? Are they staying at home more than they’re interacting with others? Assisted living can help them to remain more social, meet friends, and stay involved in activities they enjoy. Isolation can lead to depression and other concerns. Driving requires good vision, hearing, reaction time, decision making, problem solving, mobility, and more. If your loved one is getting into fender benders, forgetting where they’re going, or is hesitant to get behind the wheel at all, this can impact their quality of life. They’re not able to run errands and grocery shop, they become more isolated, and it can be restricting. In an assisted living facility, they don’t have to worry about these things. Transportation can be provided for them, and the facility may offer a number of services. No one wants to take their loved one from home and move them to assisted living, but it can be the best decision for everyone involved. Your loved one should thrive in their new environment and you can know they are safe and happy. Always Best Care offers free assisted living placement services to help you find the right facility and level of care for your aging parent. We work with facilities throughout the area and can help you find one that meets your loved one’s needs. Let us help you by contacting Always Best Care at (267) 217-7059. It can be a major decision to entrust the care of your senior to someone else, even if just for a few hours a day. You want to make sure that they are getting high quality care and that their caregiver is trained how to respond to a wide range of scenarios and issues. When choosing a senior care company to provide in-home care, it is a good idea to ask many questions about their training and certifications. Find out what areas caregivers are trained in and how often training occurs. Ask about background checks and references. A reputable agency makes training and quality care top priorities and promotes professional development of its staff. In-home caregivers should be looking out for your senior’s safety in all they do. This ranges from assisting them in safely transferring from the bed or a chair to making sure the kitchen is set up in a way to prevent hazards. First aid and CPR certifications can also be very valuable should an emergency arise. Caregivers can also promote better safety by assisting with meal preparation and light cleaning, managing medication, and supporting self-care activities. By having a well-trained caregiver, they will know to alert you with concerns they may have about your loved one’s safety and support your senior with activities they may struggle with on their own. Read more about home improvement safety for your senior loved one here. It is not uncommon for seniors to develop Alzheimer’s or dementia as they age. However, these conditions can be difficult to handle without a solid understanding of how they affect seniors and how to cope with the challenges they present. Talk to the caregiver about their training in these areas and their approach to caring for someone with cognitive impairments. You want your loved one to feel comfortable and respected as they face troubles with their memory and you want their caregiver to be sensitive to these issues and know how to effectively respond. Some examples of how to respond include not arguing with a loved one who has memory loss and pureeing food for an individual who is forgetting to swallow. Caregivers should also be well-versed in the changing needs of seniors as they age. This means helping them to stay physically and mentally active and engaged, recognizing when they need more support and when they can do things independently, and creating an environment that is conducive to aging in place. This also means being aware of challenges that seniors face, whether it’s changes in their physical or mental health, losing loved ones, or having to transition to a higher level of care. All of these things should be addressed with compassion and sensitivity. Many online tools are also available for reference to caregivers. The Alzheimer’s Association has message boards available for both caregivers and loved ones. Ongoing training ensures that caregivers are equipped to handle whatever comes their way and are up-to-date on best practices and the latest policies and procedures. Always Best Care ensures that all of its caregivers receive current training that helps them to be more well-rounded and provide exceptional care for clients. Contact Always Best Care at (267) 217-7059 or email dbaim@abc-seniors.com to learn more about our commitment to care and training and how it can benefit your loved one as they age. When you can’t be there to care for your senior and provide the level of support they need, you want to make sure that they are receiving high quality in-home care. More and more older adults prefer to live independent, non-institutionalized lives, and in-home care is a safe, effective way to provide care in the comfort of one’s own home. You want someone who has their best interests in mind and is trained to meet their individual needs. There are many people who may offer their services to help seniors, but when choosing a senior service company, you want to ensure that the organization is fully licensed. This not only protects you and your loved one, but it protects the company too. The in-home care organization meets state standards. In order to become a licensed senior care provider, the organization must be compliant with state standards. They must pass inspections and reviews that ensure they are following the rules. You can ask to see the results of these reports so you know for yourself how the organization is performing. You’ll be able to see how they were rated and if they’ve had any violations. These inspections and reviews are intense and will give you the peace of mind you need to use the organization. As part of a licensed organization, employees must undergo training and meet certain requirements. They are prepared to assist your loved one on a variety of levels, from compassionate companionship for those with dementia or Alzheimer’s to helping them with strategies to maintain their independence and provide the right level of support necessary. Extra attention and tender compassionate care is a must. They are CPR-certified and undergo background and reference checks to verify their employment eligibility, training, and character. Caregivers are bonded and insured. If the caregiver should become injured or an accident should occur, the fact that they are employed by a licensed organization may protect you and your senior. Between worker’s compensation, liability insurance, and other coverage, they have protections put in place. A non-licensed senior care provider may not have the proper coverage and you could be held liable for anything that occurs while they are in your senior’s home. The organization is regularly reviewed. 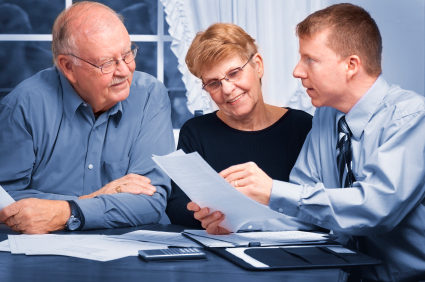 Because the senior services company is licensed and registered with the state, they are subject to regular evaluations. You can rest assured that they are being checked up on and maintain compliance. Some organizations may be accredited which means they have to uphold even higher standards and go through an even more rigorous review process. If the company is not licensed, the oversight by the state may not be as high and important issues may be overlooked. Your senior may qualify for financial assistance for in-home care. By hiring a licensed senior services company, your senior may be able to receive financial assistance through Medicare, Medicaid, or other state or federal health benefits programs. These benefits may not apply to them if you go with an unlicensed provider. The home health agency may also have an established network of connections that can support your senior in other ways. If you are looking for additional services not provided by the home care company, they can provide referrals to other trusted organizations. Free assisted living placement is just one of many additional services offered by home care businesses. If your senior’s health, safety, and wellbeing are at the top of your priority list, partner with a licensed senior service company like Always Best Care that puts these things at the top of their priority list as well. 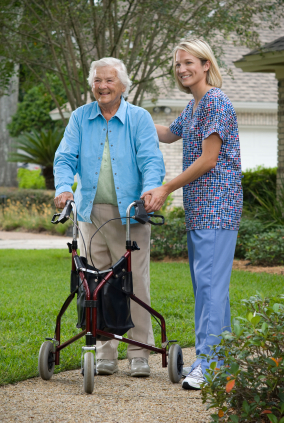 Rest assured that your senior is in good hands and their caregiver is well trained. Call David Baim and his staff at Always Best Care today (267) 217-7059 to learn more about what sets our in-home senior care apart from the rest and why you should hire a licensed provider.